Hi Frieda this is Bonnie, I’m so happy and grateful I took your dye class. I used up most of the dye I took home and makde some great two toned pieces. 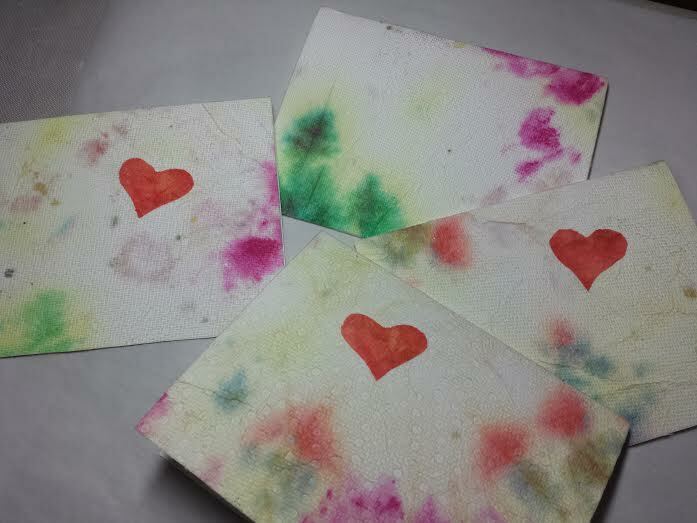 I wish I had poured more excess dye onto the paper towels I saved as I went on to back them with steam a seam and used them on card stock. See the attached photos! I even saved the color catchers and the clumps of unraveled thread ends for the fabulous textures. I can’t wait to get better and do some more dying. You have created a color monster! I love it! 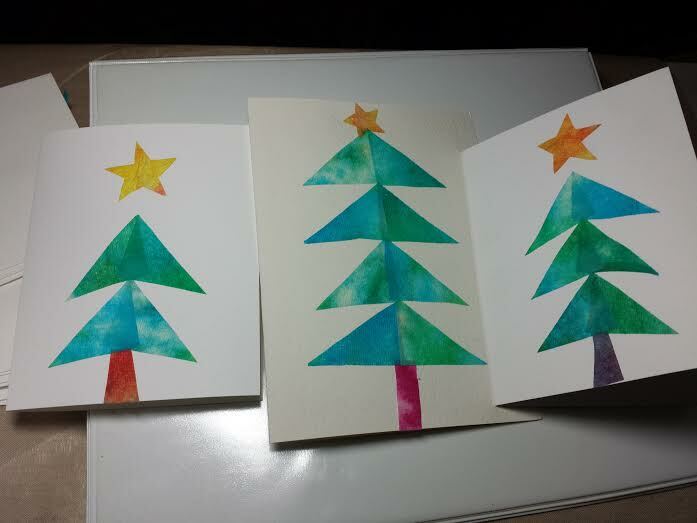 Thank you so much for sharing your techniques. I wish I could take your next class at Thimbles (Seaside Village – March 24 – Thimbles Quilt shop in Lockport, IL) but my photo editor job won’t let me. Thanks so much again for being a great teacher! Hope to at least see you at IQA show at the Rosemont! Now that’s great recycling work Bonnie!! It is always so nice to hear from students and get feedback on what I do. Thanks Bonnie.